Accentuate your interior design and bring your visions to life with our stunning window treatments. With our authorized Hunter Douglas custom blinds you can make a sizable change indoors to enhance the appeal of your home décor. Sometimes, the most subtle home improvements can have the greatest impact on the overall look and feel of an area or room. Are you looking to give the inside of your home an aesthetic boost? Invest in a home addition that breathes new life into your space and enhances its appeal with our vast selections of blinds in Los Angeles, CA. With an abundance of energy and light just outside, you may feel compelled to draw some of it inside. Perhaps you would like greater control over the amount of light that creeps into your home. Alternatively, you may wish to shut the natural light out. Whatever the reason, you can give your home a stylish new addition that increases the style and functionality of your windows. As a homeowner, you want to put your own unique style into every room. Fitting it with features that accentuate your aesthetic preferences allows you to create an interior that’s as unique as you. However, it’s easy to overlook the potential of your windows and window coverings around your home. Add an element of elegance to your kitchen with our stylish kitchen window treatments. At our local store, we provide homeowners with a plethora of custom window treatments competitive prices. Our sheers, cellular shades, blinds, and shutters are designed to provide you with the ideal combination of appeal and practicality. Make your kitchen as charming as the rest of your home by taking better control of natural lighting and your structure’s insulation with one of these unique features. Should you wish to extend these home additions to other parts of your home, we also feature bathroom window treatments with a number of options. There is often only a single window in the bathroom. That means choosing the right treatment to create the perfect focal point in your bathroom space becomes all the more important. Add these treatments to your bathroom and transform your space into a personal oasis with the perfect combination of comfort and privacy. Speak to one of our knowledgeable consultants to ensure your new installation perfectly meets your needs. 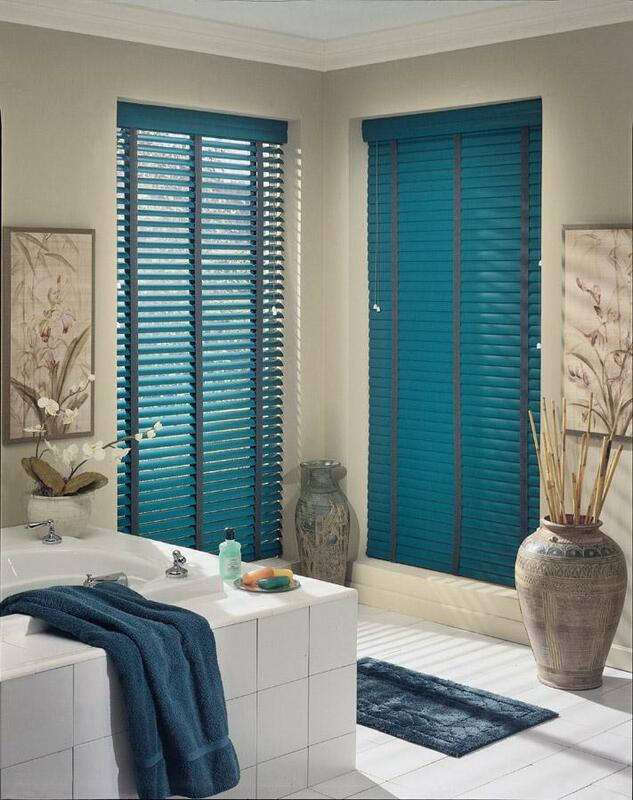 Room darkening shades are ideal for total privacy. Designed specifically with thick fabric on the inside and outside, they help create the perfect setting for sleeping during the day or night. This helps give your space a softer look which can make it easier to sleep. In addition, keeping sunlight from pouring into your room can protect your nearby furniture from fading. Seal the sun out of your space and keep your furniture in great condition without sunlight constantly beating down on it. Share your design aspirations with our skilled team of design professionals and we’ll ensure you find the right shades and any other window covering for your space. Contact us to learn more about the various different window treatments available to you. We proudly serve homeowners in Los Angeles, California.